BALTIMORE, MARYLAND - The Baltimore Comic-Con returns this September 2-4, 2016 to the Baltimore Convention Center in Baltimore's Inner Harbor. We are very pleased to announce our first media guest for 2016, Sean Astin, currently voicing Raphael on Nickelodeon's Teenage Mutant Ninja Turtles and co-star of Lord of the Rings. Sean will be in attendance Saturday and Sunday. Tickets for the Baltimore Comic-Con and Harvey Awards are now available -- click here to purchase yours now! 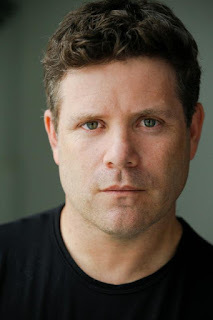 Sean Astin is best known for his film roles as Samwise Gamgee in the Lord of the Rings trilogy, Mikey Walsh in The Goonies, and the title character of Rudy. In television, he appeared as Lynn McGill in the fifth season of "24" and currently voices Raphael in the Nickelodeon Teenage Mutant Ninja Turtles TV series. The child actor made his feature film debut at age 13. He portrayed Mikey in Steven Spielberg's blockbuster hit The Goonies (1985). After The Goonies, the young performer appeared in several more films, including the Disney made-for-TV movie, The B.R.A.T. Patrol opposite Nia Long, Tim Thomerson, and Brian Keith; Like Father Like Son with Dudley Moore and Kirk Cameron (1987); White Water Summer with Kevin Bacon (1987), The War of the Roses (1989); and the lauded World War II epic film Memphis Belle (1990). He successfully navigated the transition from child actor to young adult in the films Toy Soldiers (1991) and Encino Man (1992). Astin scored a career-defining, triumphant success in the inspirational and universally applauded college football biopic Rudy (1993), about the life-changing struggles and rewards of the title character, Daniel Ruettiger. He followed his success in Rudy by starring in films throughout the 1990s, including the Showtime science fiction film Harrison Bergeron (1995), the Gulf War film Courage Under Fire (1996), the Warren Beatty political satire Bulworth (1996). and the romantic comedy Boy Meets Girl (1997). In the early 2000s, Astin experienced another career breakthrough with his role as Samwise Gamgee in Peter Jackson's The Lord of the Rings film trilogy, released in 2001, 2002 and 2003. Along with the many awards bestowed upon the trilogy, particularly its final installment, The Return of the King (winner of eleven Academy Awards, including Best Picture), Astin received many award nominations for his own performance in Return of the King, taking home the Saturn Award for Best Supporting Actor and awards from the Las Vegas Film Critics Society, the Seattle Film Critics, the Utah Film Critics Association, and the Phoenix Film Critics Society. As an ensemble, the Return of the King cast received awards from the National Board of Review of Motion Pictures and the Screen Actors Guild. In television, Astin guest-starred as Lynn McGill throughout the fifth season of the Fox drama 24. He also appeared in the made-for-TV films Hercules and The Colour of Magic, and in episodes of Monk, Las Vegas, My Name is Earl, and Law & Order, among other shows. He went on to directed a 2003 episode of the TV series Angel, titled "Soulless", as well as an episode of the Showtime Series Jeremiah, where he played the enigmatic Mr. Smith during the 2nd season. Astin's career has also expanded to include voice-over roles. He narrated the American version of the Animal Planet series Meerkat Manor, and voiced the title character in the animated Disney Channel series Special Agent Oso. His other voice work includes Balto III: Wings of Change and many video games, including Kingdom Hearts. Astin is currently the voice of Raphael in the new Teenage Mutant Ninja Turtles animated series on Nickelodeon. Recent films starring Sean include The Surface (2014), Woodlawn (2015), and Range 15 (2016), a crowd-sourced dark comedy made by and for vets. Coming soon are the political satires For All Eyes Always (2016) and Swing State (2016). Sean narrated and executive produced the documentary Remember the Sultana (2015), and portrayed an exaggerated version of himself in the popular Kickstarter-funded web series Con Man (2015). "Sean is a huge addition to the show as our first media guest of 2016," said Marc Nathan, promoter of the Baltimore Comic-Con. "It's great to have an actor of such profile that all of our fans will know from something -- Teenage Mutant Ninja Turtles, Lord of the Rings, The Goonies, and Rudy are the obvious choices, but his resume is long and diverse. We're looking forward to having him to Baltimore, and we know our attendees are too!"